The US Department of Health and Human Services (HHS) has released the second edition of the Physical Activity Guidelines for Americans. The guidelines' first edition was released in 2008 and has seen low levels of adherence. According to HHS, only 26% of men, 19% of women, and 20% of youths meet the recommendations. Failure to adhere to the guidelines contribute to increased healthcare costs, more health issues and premature mortality, the agency said. The updated guidelines feature key recommendations for children aged 3-5 as well as 6-17, adults, older adults, pregnant and post-partum women, as well as adults with chronic health conditions and disabilities. A new addition to the guideline indicates that young children between the ages of 3 and 5 should engage in active play throughout the day to enhance growth and development. This new guideline suggests a young child should be lightly, moderately, or vigorously active for at least 3 hours per day. The recommended amount of physical activity for children between the ages of 6 through 17 remains the same at 60-minutes per day of moderate-to-vigorous activity including activity that increases heart rate such as walking or running, as well as activities to strengthen muscles and bones such as playing sports or jumping rope. The new guidelines acknowledge that for this age group, in addition to improving bone health and heart health and reducing the risk of depression, physical activity can also improve cognition. The guidelines continue to recommend at least 150 to 300 minutes of moderate-intensity activity per week and 2 days of a muscle-strengthening activity for healthy adults. A new key guideline for adults is to reduce sedentary time and increase movement. This guidance is based on evidence that increased sedentary behavior is related to increased risk of heart disease, high blood pressure, and all-cause mortality. >> Medicine moves faster every day. Stay ahead with the MD Mag Newsletter. New long-term health benefits for physically active adults included in the updated guidelines include: assisting in the prevention of 6 types of cancer including bladder, endometrium, esophagus, kidney, stomach, and lung, while also reducing the risk for dementia and Alzheimer’s. New evidence has also shown a link to immediate health benefits including a reduction in blood pressure and anxiety and improvements in quality of sleep and insulin sensitivity. The new guidelines indicate that physical activity in older adults can reduce the risk of falls and injuries from falls. In pregnant women, physical activity lowers the risk of postpartum depression. And for individuals with health conditions, including hypertension and type 2 diabetes, exercise can decrease disease progression. An important takeaway from this guidance is that any amount of physical of activity has some health benefits. The second edition has removed the requirement of 10-minute bouts of activity as being the minimum amount of exercise that contributes towards meeting the guidelines. 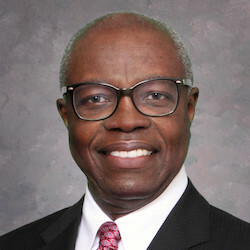 “In 2008, the American Heart Association adopted the Physical Activity Guidelines and again we are proud to lead the call for health groups across the country to view these guidelines as beneficial to both public health and a worthy tool for clinicians,” Ivor Benjamin, M.D., FAHA, American Heart Association president said in a press release. The US. Department of Health & Human Services’ Physical Activity Guidelines for Americans, 2nd Edition will be presented in a session at the American Heart Association Scientific Session 2018 in Chicago, Illinois.